1982-86 Studied Art and Design College of marketing and Design, Dublin,Ireland. Arts Council of Ireland Travel and Training Award. Individual Artists Award (Galway County Council). 2011 Individual Artists Award (Galway County Council). 2010 Tyrone Guthrie Regional Bursary Scheme ( Galway County Council). 2009 Arts Council of Ireland Travel and Training Award. 2009 Tyrone Guthrie-Virginia Centre for the Creative Arts Residency Exchange Programme. 2005 The National Self Portrait Collection, Limerick Univerisity. 2005 Tyrone Guthrie Regional Bursary Scheme. (Galway Co Council). 2004 The Oriel Gallery Award for Landscape of Distinction, RHA Annual Exhibition. 2003 Tyrone Guthrie Regional Bursary Scheme. ( Galway Co Council). 2003 Artists Bursaries Scheme. (Galway Co Council). 2002 Commission, Dundalk Institute of Technology. 1993 Travel Grant, Department of Irish Foriegn Affairs. 1991 Travel Grant, Arts Council of Ireland. 1990 Contributed to The Great Book of Ireland. 2011 Clifden Arts Week( supported by Galway Co Council) Ireland. 2009 Norman Villa Gallery ,Galway, Ireland. 2007 Paul Kane Gallery, Dublin, Ireland . 2005 Glucksman Ireland House, NYU, New York, USA. 2004 Hallward Gallery, Dublin, Ireland. 2002 National University of Ireland, Galway, Ireland. 2001 National University of Ireland, Galway, Ireland. 2001 Hallward Gallery, Dublin, Ireland. 1999 Lavelle Gallery, Clifden, Co Galway, Ireland. 1997 Hallward Gallery, Dublin, Ireland. 1995 Boyle Arts Festival, Ireland. 1994 Hallward Gallery, Dublin, Ireland. 1993 McClelland Regional Gallery, Langwarren, Victoria, Australia. 1992 Berkeley Gallery, Thomastown, Co Kilkenny, Ireland. 1992 Arts Council of Ireland. Dublin, Ireland. 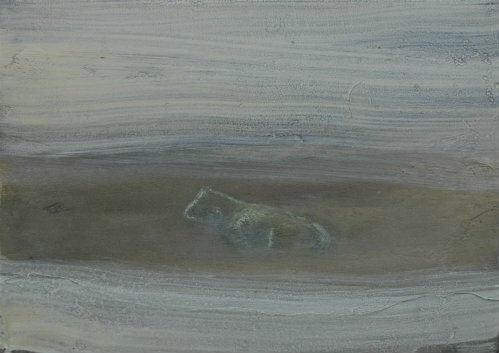 2011 Invited Artist, Royal Hibernian Acadamy Annual Exhibition, Dublin, Ireland. 2007 Thompsons Gallery, London, England. 2006 Thompsons, Gallery, London, England. 2006 Additions, National Self Portrait Collection of Ireland, Limerick University,Ireland. 2006 Royal Hibernian Acadamy Annual Exhibition, Dublin, Ireland. 2005 Boyle Civic Collection, Boyle Arts Festival Ireland. 2004 Royal Hibernian Annual Exhibition, Dublin,Ireland. 2004 Christa Faut Gallery, Cornelius, NC,USA. 2004 Celtic Festival, Lorient, France. 2003 Reimagining Ireland, Irish Art Today, University of Virginia Art Museum, VA, USA. 1997 Women Artists from the West,Tristans Gallery, Dundalk, Ireland. 1995 Gateway to Art, Aer Rianta, Dublin Airport,Ireland. 1992 Corporate Art Collection, Hugh Lane Gallery,Dublin,Ireland. 1992 The Anderson Gallery, Worcestor,England. 1992 Boyle Arts Festival, Ireland. 1992 Cothu, Corporate Art, Guinness Hop Store, Dublin, Ireland. 1988 Process as Image, Temple Bar Gallery, Dublin,Ireland. 1986 Independant Artists,Guinness Hop Store, Dublin,Ireland. They are an exploration of inner vision and illumination. I have chosen to live in the far West Coast of Ireland in a place of extreme beauty and weather . Over the years I have become familiar with its every detail , knowing the landscape not simply in its unchanging topography but also in its undying indifference and constant light change. ‘‘It takes a man a life time to get to know a field’’(Patrick Kavanagh) . The paintings are not however about romantic sentimentality . My practice is about a repossession and a hint of paradise- an early influence was the Irish poet Patrick Kavanagh who spoke of a beauty beyond beauty ‘‘A beauty that the world did not touch’’ – He wrote of the hill or the tree as not simply items on the horizon but sacred places linking heaven and earth. I labour over my paintings sometimes for up to a year. They are hewn slowly into shape. I begin with an image of landscape, building up texture, line and colour only to destroy it by repeatedly sanding and layering , eventually revealing what is concealed beneath- what is hidden in the dark. The lines cut into the surface as they meet with resistance give a physical presence like in early cave painting. Through the existential practice of destruction of the surfaces they slowly reveal lonely tender and powerful places. The residual effect of sanding and cutting also make the material visually vunerable to the effects of time, weathering, discolouration and shrinking. The physical forces and deep structures that under lie our everyday world. The use of copper wire or skibbled line indicates a visual boundary between the world of the viewer and the world within the painting. Spaces that have yet to be encountered, where the veils between heaven and earth are very close , as in Celtic mythology. Mystics and philosophers have always written that light is a symbol of God’s manifestation. It is the “substance of things hoped for, evidence of things not seen”. Modern science supports that the very substance of the Cosmos from which the Universe has been made is from light energy, taking us back to the first morning of the world. My landscapes are not about romantic sentimentality or about forging a sense of Irish identity through the repossession of identity through landscape. They are GROUNDLESS. They are about letting go of the gravity of landscape, pulling from the dark of the bog and the density of matter to transcend to the light.